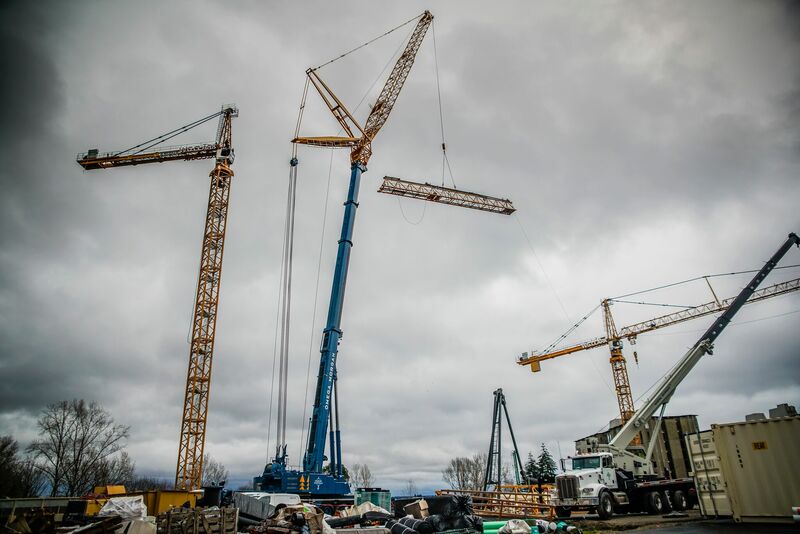 Right after our crane division launched, one of Omega Morgan’s first tower crane projects came from a brand new customer. 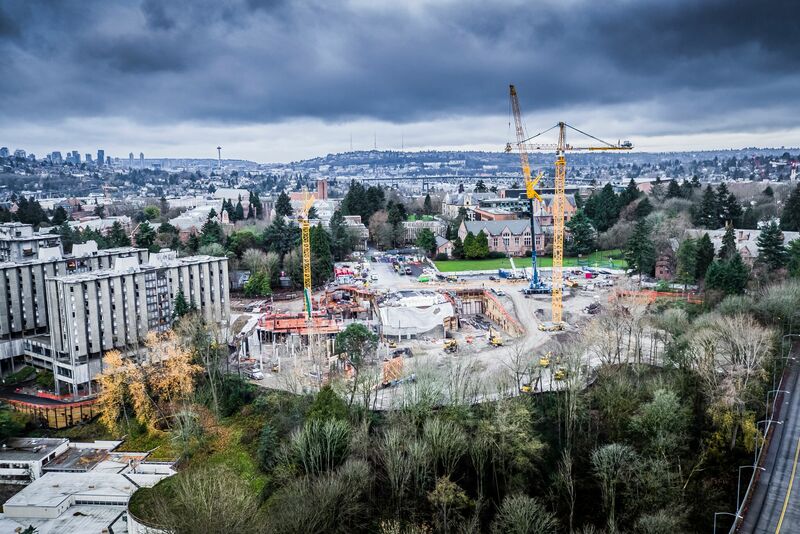 Our new client relied on our team to provide tower crane services at the University of Washington. 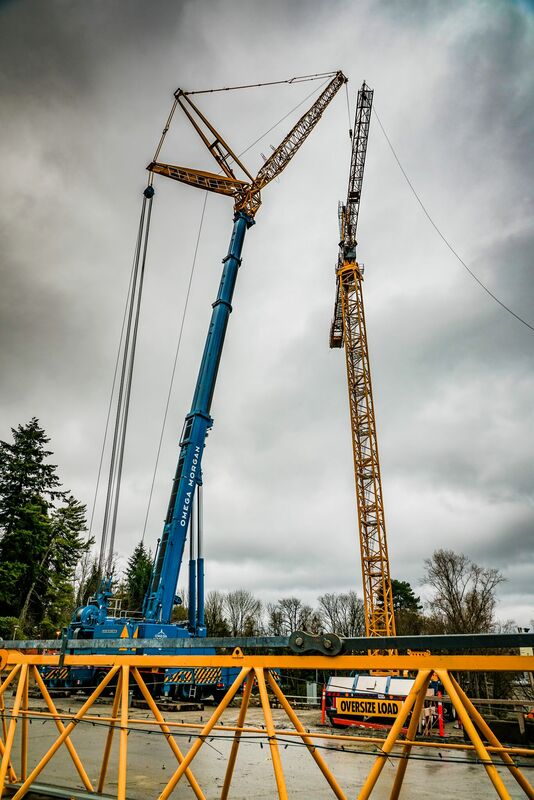 The job was to safely set up and erect an ECHO 550 Morrow tower crane with 260 feet of jib on the university’s campus. 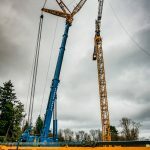 Drawing on deep wells of education and experience, the Omega Morgan tower crane services division brought an abundance of strengths, skills and abilities to plan, execute, and manage the project to completion. The Liebherr LTM-1400 is a compact crane that provides exceptional maneuverability in areas with limited space available for movement. 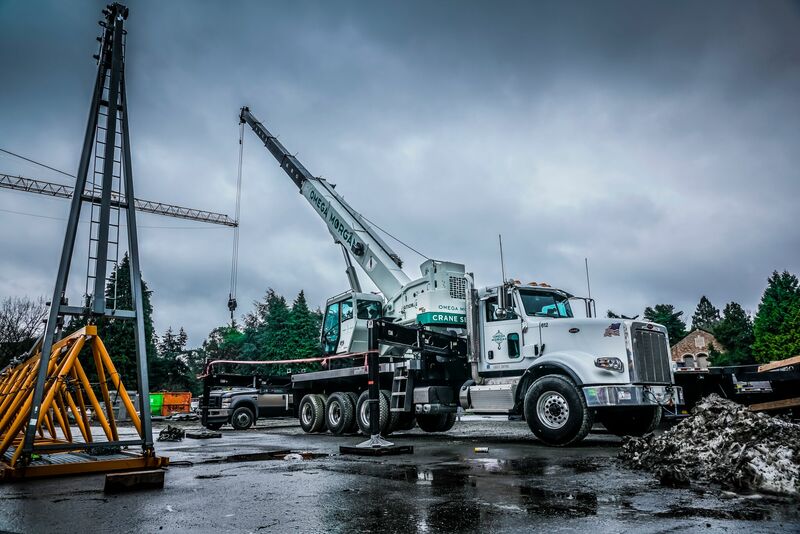 You wouldn’t expect it from a machine with a 60-ton lift capacity, but precision and speed are the top reasons to choose this type of boom truck. It easily travels at highway speeds, getting our crew on site quickly. It can also lift and place loads with reliable accuracy. 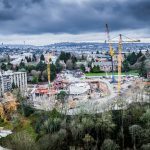 The job to set up and erect the ECHO 550 Morrow tower crane with 260 feet of jib on the University of Washington campus was a success. Not only did our dedication to hard work get us in the door with a new customer, we also made a solid impact through excellent service. 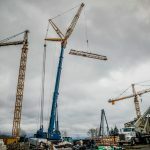 Our teamwork and speedy completion of this job announced to the world that Omega Morgan’s new crane division was here to stay, presenting serious competition in the field of tower crane services.